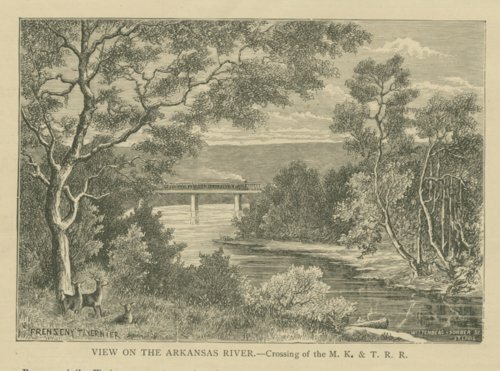 This is an engraving showing a view of the Arkansas River and the crossing of a Missouri, Kansas & Texas Railway train. The engraving was published in The Great South-West in June 1874. The illustration is credited to both Paul Frenzeny and Jules Tavernier.